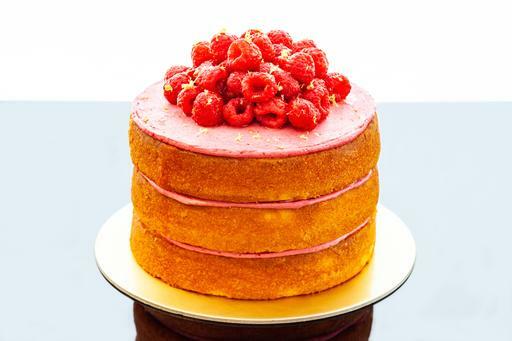 A delightfully fruity cake, made from scratch with no artificial flavours! Please note: Raspberries are seasonal. We may need to replace them with other fruit. Words, if needed, will be written on the cake board.